Westwood Estates: Updated, well maintained 14' single wide with addition in sought after, 55+ age restricted park. 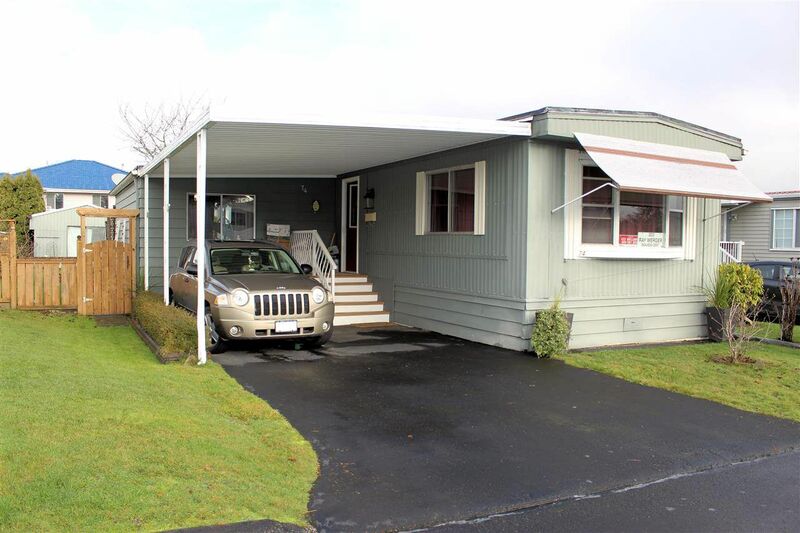 Features new kitchen cabinets & stainless steel appliances; new hot water tank (2018); family room, large workshop, large, spacious, fenced yard with storage sheds, single carport with room for a 2nd vehicle in the driveway. Pad rent $741.00 per month, as of February 1st, 2019; 6% discount if paid the year in advance. Pad rent includes water,sewer, garbage pick up & the land portion of the property taxes. Pets ok, dog friendly park, but no vicious breeds of dogs allowed.